I would like to thank the publishers, Harper Collins for an arc copy of this book in return for an honest review. I have been a huge fan of Cecelia Ahern since I was a teenager. I feel so in love with her books, each one taking me off to a different place and a different time. Cecelia Ahern is the reason I read, and I wait patiently each year for her new book to come out, so I can't tell you what an honour it was to see this coming in my letterbox. I was half way through another book at the time but I dropped everything to get my teeth stuck into this. I hold Cecelia's books in such high esteem that it is always nerve wracking starting a new one, I always have the worry that I won't like it or that it won't be for me. 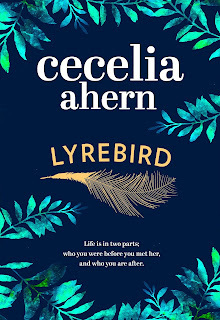 When starting this, I had the same worries, but as usual, there was no need to worry, because she had never disappointed me before and she definitely did't disappoint this time around, because in my opinion, this is hands down Cecelia Ahern's best novel to date. Set in the wilds of Cork, Lyrebird follows an award winning documentary crew as they make their way back to Cork to attend the funeral of one of the Toolin twins, two brothers that they made a documentary on a few years previously. With one of the brothers now dead and the other left with a huge farm, the documentary crew made up of Bo, Solomon and Rachel decide to follow him in his quest to run the farm on his own. But when they find a beautiful twenty six year old woman, who has the gift of mimicking sounds living on the property, that no one knew about only the deceased brother, the documentary crew decide to give her a way out of the life she is living now, but to do that she will have to become a public figure, but for Laura or Lyrebird as she becomes known, that is going to take her right out of her comfort zone and she's not sure she's ready to live her life in the spotlight after living a secluded life up until now. The thing that I enjoyed most about this novel was that it is set very close to my home place. I live eleven miles from Macroom, I go to college there, I do my shopping there, so to have the book set in a place that I go on a daily basis was a fantastic treat for me. I adored that the story was set in a place that I could really indentify with and this made the story seem much more real to me. Lyrebird is like no book that I have ever read before. It picked me up and pulled me into this spellbinding story and transported me to Gougan Barra and Galway and Dublin and even to Australia for a short period of time. 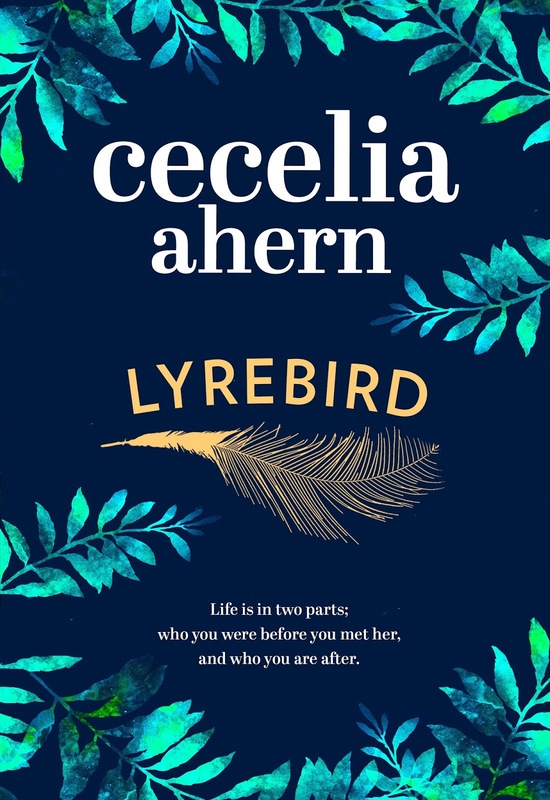 I have never read a book that has taken my breathe away as much as Lyrebird has and I don't think I will find another one that will for a very long time. Everything about this book is simply stunning and I adore everything about it. The characters are amazing and I adore each and every one of them. Laura is such a special character and she written with so much love and care, that she turned into a real person for me. She became a friend and I loved that I was able to spend so much time with her. Soloman is another character that seemed to capture my heart while I was immersed in this amazing story. It is very rare that a story this mesmirising and alluring comes along, which is what makes Lyrebird a very special book. I was utterly captivated the whole way through and I loved every bit of this story, with every turn of the page bringing even more adventure and charisma. Lyrebird is simply stunning and will dazzle everyone who picks up this amazing book. I can't recommend it highly enough, all I can tell you is that this is an adventure that you do not want to miss. As always an exceptionally good read from an incredibly gifted author.